VANCOUVER— While visiting with families affected by the fentanyl crisis, B.C. 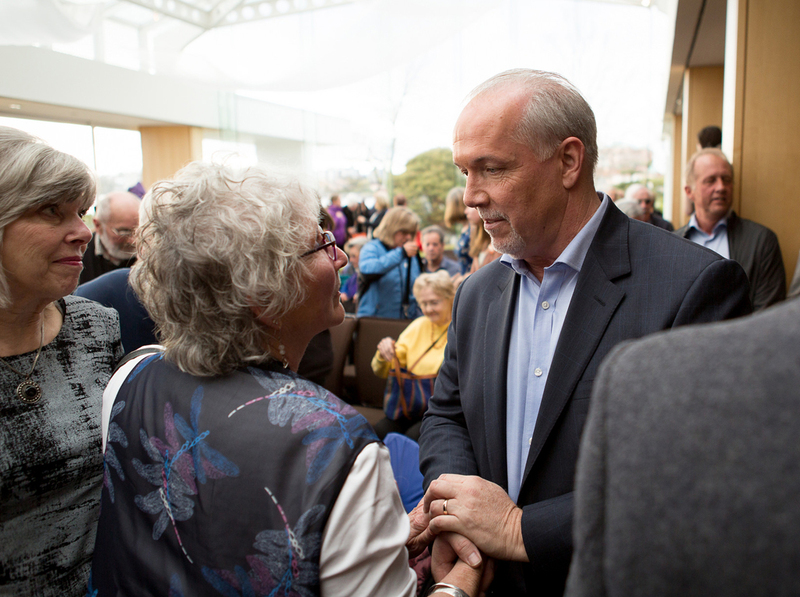 New Democrat Leader John Horgan spoke out about the need for a new government that will address the problems people face and deliver the services people count on. “Fentanyl has already taken too many lives and destroyed too many families,” said Horgan. Horgan reaffirmed his commitment to a stand-alone mental health and addictions ministry, saying it will bring focus and accountability to the fentanyl crisis. “My government will have a minister who gets up every single day focused on solving this problem and saving people’s lives. It’s not going to be on the side of someone’s desk,” said Horgan. “British Columbians voted overwhelmingly to replace the Christy Clark government. They voted for a government that works for people, a government that will tackle the fentanyl crisis and save lives.